Wau: The Most Amazing Number in the World? Once you have watched it, watch it again – this time thinking about what number Wau might be – and why you have never heard of Wau before. This is a great video to show to students – especially IB students, who once they have figured it out can go through the video and see why the infinite sequences, the imaginary numbers, the repeated powers etc all work. There’s one mistake in the video – which is flagged by an annotation. Turn of the annotation and see if anyone in the class spots it. As a final exercise how about thinking about what other fantastic properties Wau has? This links really well with the ToK question about where do we get our knowledge from – does the authority of mathematics or science allow people to be mislead more easily? 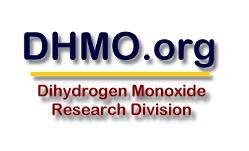 A good example (in a similar vein to Wau is the “health scare” about Dihydrogen Monoxide (DHMO). Dihydrogen Monoxide (DHMO) is a colorless and odorless chemical compound. The atomic components of DHMO are found in a number of caustic, explosive and poisonous compounds such as Sulfuric Acid, Nitroglycerine and Ethyl Alcohol. 1) Death due to accidental inhalation of DHMO, even in small quantities. 2) Prolonged exposure to solid DHMO causes severe tissue damage. 3) Excessive ingestion produces a number of unpleasant though not typically life-threatening side-effects. 4) DHMO is a major component of acid rain. 5) Gaseous DHMO can cause severe burns. Sounds pretty scary – and something that should be regulated. And indeed the website has been the cause of numerous petitions to MPs around the world demanding that it be banned. It is however an internet hoax. All the information is correct – it’s just that it refers to……water. People often have a deference to the authority of scientific or mathematical arguments – which can make them a very powerful tool in persuading people what to believe. Wau is 1. Now watch the video again! Graham’s Number – literally big enough to collapse your head into a black hole – a post about an unimaginably big number. e’s are good – He’s Leonard Euler. – A discussion about the amazing number e.